I am turning 40 in a few weeks. 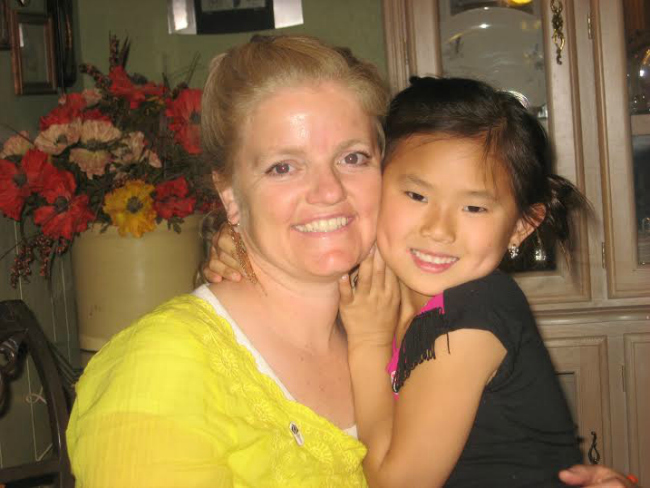 I have 4 beautiful children and a wonderful husband of almost 20 years and 25 young women that occupy my time and my heart. I have a life filled with joy, successes and failures. YIKES!! Good question….probably my kids….they are AMAZING!!! I am not sure that I can take credit for that or not, but my kids. I have put my whole heart into teaching them and loving them…needless to say, I don’t do it perfectly but as they live the Gospel and apply their knowledge and rely on their testimonies, I see a glimpse of what they will do with their gifts and talents to build up the Kingdom of God. Being a mom and seeing my children live the Gospel and going to the temple. My trials and knowing that I am never alone, reading and pondering the scriptures, and giving meaningful service to others. I have a tenacious spirit, and once I am committed to something, I give my all. I have been blessed with the ability to be happy, despite my circumstances, and to look for the positive side of things. This varies…sometimes it is through a feeling, a confirmation that what I have been pondering on is in line with the will of the Lord. Other times, my prayers are answered through someone else, either through a conversation or an action. I am always chewing on something, and the Lord knows I need preparation and time, and what I am learning is to wait upon the Lord and trust His timing in answering my prayers. Every sincere prayer of mine has been answered and sometimes I don’t understand the answer but it has ALWAYS been the right one for me and whatever it is I may be going through or experiencing. I was 19 years old and was meeting with the missionaries again. I decided to pray and ask this time; this was the first time I had actually prayed, ever, and aloud as well. I received an immediate burning in my bosom, and knew from my head to my toes that The Church of Jesus Christ of Latter-day Saints was true. It is true, and I have never doubted since. Everyday discussions, family history work, sharing conference talks, youth activities involving gospel topics, like temple work and service, serving others and being good members of our communities and schools. That one is easy. My hope and prayer is that each woman, young and old and everything in between, will know who they are….as Daughters of a loving, most forgiving Father in Heaven, who has bestowed on us the most wonderful blessing as women to share in the creation and nurturing of His children, our brothers and sisters. 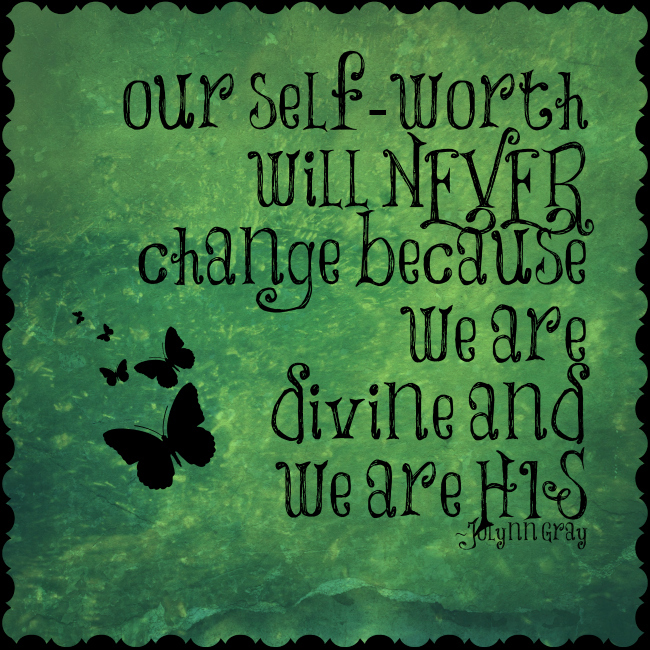 To know that our self-worth will NEVER change, because we are divine, and we are HIS. 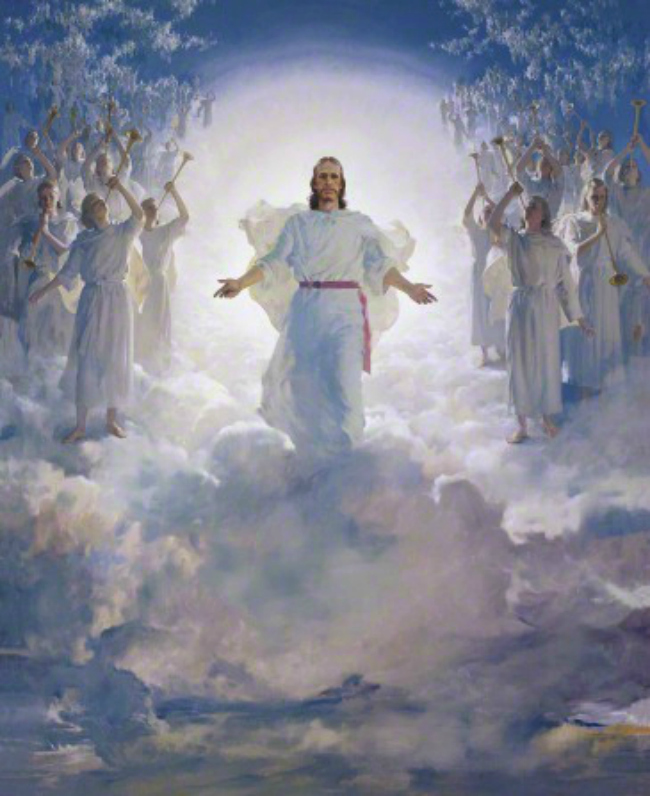 We are daughters of OUR Heavenly Father, who loves us, and we love HIM, we will stand as witnesses of GOD at all times and in all things and in all places….